Android smart phones have become very powerful tools to remain connected to your social network all around the world. Tons of exciting features enable you to perform your social and official tasks on your smart phone without spending much time. Most of us have huge number of contacts in your email addresses online and it might not be possible for you to keep checking your email inbox every now and then, especially if you are waiting to receive an important email. How convenient will it become if you synchronise your smart phone to your email address? Every time you receive an email to your inbox, a notification will appear on your Android cell phone, letting you know about all the incoming emails. Well, certainly synchronisation will keep you updated with your email inbox, saving your precious time to a great deal and enabling you to respond to all those important emails. Since Android operating system is powered by Google, all Android smart phones have a built-in feature to synchronise to your Gmail account. It will not take more than a minute to sync your Android to your Gmail account and start receiving notifications on every email you get in your inbox. You need to alter the phone settings of your Android first. Tap the menu button and a list of options will appear on your cell screen. Click on ‘System’ option to proceed. A list of settings options will appear. Scroll down the categories available in the list to ‘Personal’ and tap on ‘Accounts & sync’ option to begin the synchronisation process. Hit the blue button on the top right corner of your Android smart phone screen to turn on the synchronisation. A list of options will be available for you to select the accounts you desire to sync. 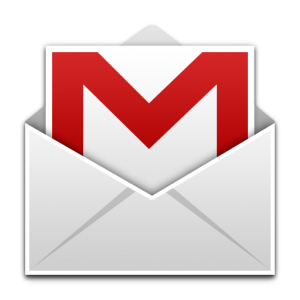 The Gmail button will be denoted with a ‘g’ written on a blue button. You can check the Gmail icon with the green circular arrows to its right side and ensure that your Android cell phone is synced to your email account. Next, check the box next to ‘Sync Gmail’ tab. These options will also allow you to synchronise other aspects for Gmail, including photos, books, movies and many more. In the end, hit the menu button and click ‘Sync now’ option to complete the process.